Defining Brand: Why Is It So Hard To Find A Perfect Definition? Defining Brand: Why Is It So Hard To Find A Perfect Definition? A lot of people – even those in branding – struggle with answering the question: So what’s a brand, anyways? The term “brand” first emerged more than half a century ago as a way for cattle ranchers to identify their animals. In the late 1880’s, packaged goods like Coca-Cola started taking off. Brands were used to differentiate them from the generic competition. But as branding progressed, marketers realized there was more to the brand of Coca-Cola than just a non-generic name. As branding has evolved, brands have became more subjective — more about perception and accumulated meaning. Our conception of what a brand is has become more and more complicated, difficult to define, and hard to pin down with a single definition. So why is defining what a brand is so difficult? What insights can we gather from this difficulty? 1. Brands mean different things to different people at different times. A single brand means something unique to each person – be it a current consumer, potential consumer, employee, recruit, or just within the world at large. Brands are dynamic. They can play a different role depending on who they interact with and when. Some people connect with certain aspects of a brand, while others connect meaningfully with another. And oftentimes, a person’s relationship with a brand can really develop – increasing trust, loyalty, meaning, and engagement. Smart and successful brands work on reaching all the different audiences who matter to their business, and aim to further their brand relationships with each individual. At Emotive Brand, we often think of brands as nebulous and infinite. A brand can be the sum of brand experiences or interactions, but those experiences and interactions have infinite possibility. Every touchpoint matters. Each moment counts. Although we work on creating structure for brands in the form of brand architecture, that architecture always accommodates for growth and change – so the brand can develop, expand, respond, and shift with the times. 3. Brands are about feelings, and feelings are complicated. When you ask people why they love certain brands, it’s often hard for them to pin down. They might provide a list of rational and logical reasons, but in the end, it often comes down to a feeling. How does that brand really make them feel? And why do they come back for more of that feeling? Why does that feeling mean something to them? Successful brands today are always emotionally infused. They hold great emotional meaning for people and that’s what makes that brand loved and respected. 4. Highly recognizable, well-known brands are often used to define what a brand is. More often than not, the question of defining what a brand is is answered with a list of popular, well-known, established brands. Think Nike, Apple, Google, etc. Although these examples can reveal a lot about what a brand is, just thinking of the definition in terms of these big names isn’t enough. Consider all types of brands – big and small, global and local, new and old. Maybe even consider what businesses lack a brand and what makes them different from businesses who have built a brand they rely on. There’s a lot to learn from all the brands we interact with everyday. Each brand is meaningful because of something different, and this is often what differentiates a brand and makes it powerful to the people who matter to it. 5. Defining the impact a brand can have is often easier than defining what a brand is. 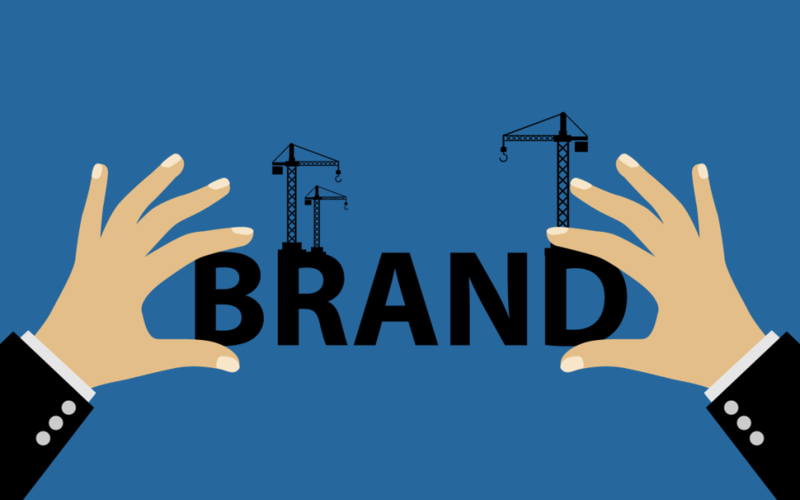 When we talk about defining what a brand is, we often talk about what makes a brand impactful for a business: stronger ROI, an aligned leadership, a more engaged workplace, etc. And when we discuss impact – whether it’s from a brand refresh, a new positioning, a great campaign, or just further brand engagement – that’s where we see the brand really working. That’s where we see it living and doing its job. Take the impact of an engaged workplace. Here, we see the brand in action – creating specific meaning and value tailored for employees and recruits of the right fit that increases innovation, productivity, creativity, loyalty. Even though it’s a difficult exercise, establishing a shared understanding about how you define your brand and what it means to your business can help guide both your brand and business forward. With alignment around what makes your brand unique, you can build a marketing strategy around it and allow your brand to reach its full potential. Talking about your brand, how you define it, what it means, and the impact it has can do great things for your business. So how would you define what a brand is? Share your comments below! Note that in neuroscience or psychology an associative memory is something very specific and that indeed it may vary between 2 different consumers. I like to think of the definition of Brand simply as “a promise”. When you see the identifying icon or symbol of the brand, to you, there is an implied or overt promise – probably based on the brand’s advertising or your experiences. Though most brands have probably identified “the promise” they wish to impart, it can still be subjective to the consumer. “A promise” as I describe, may be a promise of Quality, Dependability, Good Health, Excellence, Feeling Good, etc. This perspective relates back to the emotions or feelings aspect as written above… I taught “The promise” as the definition of Brand to many employees in sales, marketing and customer service over the years. Helps those in a position to deliver “the promise” understand how their actions can impact how the brand is viewed. I have this continual struggle with trying to explain to my clients that a brand is so much more than just a logo and a social media account — that it’s a personality for their business, an outward expression of not only their goods and services, but their ethics, reasons, and core values. As I was looking for some good articles to share with a particular client, I found this one and had to share it. Great work Tracy Lloyd and the Emotive Brand team! Amazing post. Thanks for sharing this informative and useful post about the brand. I really appreciate your effort sharing this post with us. Good job.